To streamline their workflows, become more productive, and cut costs, an increasing number of businesses are choosing to automate their manual processes as a result of the pain points that they've experienced. Whether it's wasted time or too many errors, every company has struggled with one or more of the problems in the list below. If you find yourself nodding along with more than one issue, automating your processes will likely be a valuable and worthwhile investment. Automation cuts down on the amount of labor your business needs and the number of mistakes you make (which themselves turn into more labor). For example, if you have a customer service policy that allows customers to keep an incorrect product that you sent by mistake, a growing error rate can be very costly. It takes far less time for computers to do data entry. While your human employees are sleeping, you can run jobs in the middle of the night so that they're ready when people arrive in the morning. By handling a larger workload, you can do things in advance instead of just in time. If an order comes in on a Monday and needs to be out on Wednesday, automation can often help you get it sent by Tuesday, helping your business to perform beyond its previous limits. Automation doesn't just bring benefits on your side of the equation; it can also make your customers happier too. For example, if you run an e-commerce site, your customers can log into a self-service portal containing their order histories. Once you've entered the tracking number into your system, your customers can view exactly where their orders are in the process, without having to email or call customer service. Tedious and repetitive tasks are the bane of every worker's existence. By automating these activities, you can free up your employees from spending too much time on lower-level functions and let them better apply their knowledge. In doing so, they can learn new facets of the business and you'll develop more well-rounded employees. Automation make your staff smarter and help you find and retain the right people in the first place by improving your hiring processes and internal workflows. Having visibility into and oversight of manual processes is difficult because you can't always see how far your employees have progressed with a certain task. As such, one of the major benefits of automation is predictability and control: you know exactly how your processes are being executed every time. In addition, automation is often able to consolidate processes by reducing the number of steps involved, decreasing the complexity. If you're using manual processes, errors are nearly inevitable. What's more, the greater number of humans involved in the process, the greater the chances that mistakes will be introduced, especially with tedious tasks like data entry. Automating your processes gives you consistency: the knowledge that as long as you've set up the system correctly, you'll always get back the right results. Automation gives you more data, which means it's easier to measure all sorts of metrics and key performance indicators about your processes. For example, if you know you can ship a certain number of orders during a single day or hour, you can use that as a baseline for your future forecasts. You can also more easily find problems and shortcomings. If you know there's a bottleneck in a given process and you've already automated two steps, it's easier to find the bottleneck in the remaining manual parts. There are two ways automation can improve communication: between technologies and between people. First, an expert automation partner can help you connect two completely independent systems and have them start talking to each other and working together relatively seamlessly. Second, automation can connect you better with your clients by providing information, such as order and shipping status, so they're kept up-to-date at all times. Too many businesses struggle to scale their manual processes under the weight of increased growth. 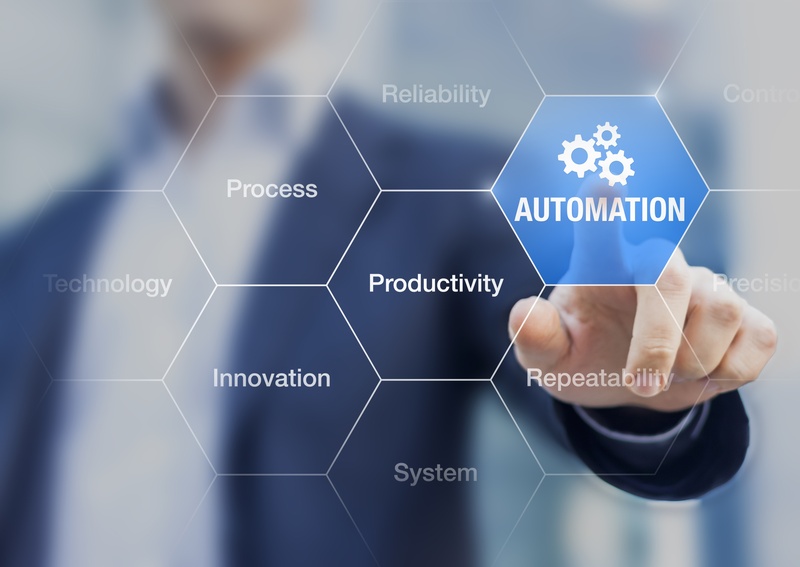 By helping to shoulder a good deal of the workload, automation can help you become more productive and efficient without having to hire additional workers. The more quickly and correctly you can complete business-critical processes, such as ordering and customer service, the better prepared you'll be to scale your business. As mentioned above, automation gives you more predictability and visibility into the results of a process, which are extremely important for compliance reasons. Automating your processes helps you be certain you're following a given compliance framework. In addition, by automating a given process, you're exposing any sensitive information to fewer human eyes, helping you keep this data more secure. By reducing the number of errors you commit, automation helps your final output be better. In addition, providing automation-enabled features, such as self-service and faster turnaround time, makes your customers want to come back to do business with you.